76,236 page views over twelve months, updated daily. 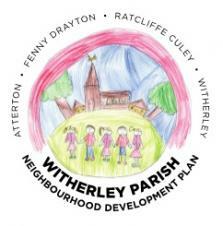 Witherley Parish Council provides your local services. We strive to make Atterton, Fenny Drayton, Ratcliffe Culey and Witherley a better place to live, work and play. Our website includes a wealth of information about how we conduct business and what we do. Use the search or browse the site to find whatever you are looking for. If you can't find the information you require then please contact us. 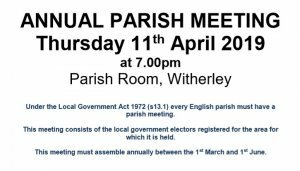 Come along to the Annual Parish Meeting, it's not a council meeting, but one for the people. What's Next For The Neighbourhood Development Plan? If you want to influence the future of Housing, Environment or Sustainability in our Parish, come and join the Theme Groups which will create the policies that go into the Plan. Work will take place during the Spring, please give as much support as you can.